Union Depot first opened along the Mississippi River in Saint Paul, Minnesota in 1881. 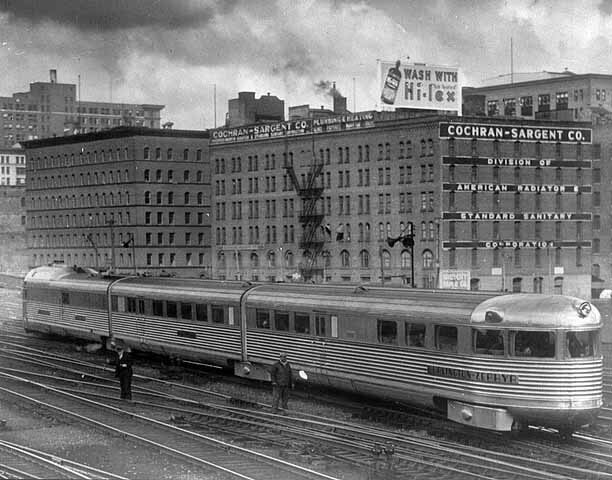 Nine railroads joined forces to form the Saint Paul Union Depot Company, they included the Great Northern; Northern Pacific; Chicago, St Paul, Minneapolis & Omaha; Chicago, Milwaukee & St Paul, Chicago Great Western; Chicago Burlington & Quincy; Minneapolis, St Paul, Sault St. Marie; Minneapolis & St Louis; Chicago Rock Island & Pacific. The original depot was damaged by a fire in 1884 and was rebuilt. 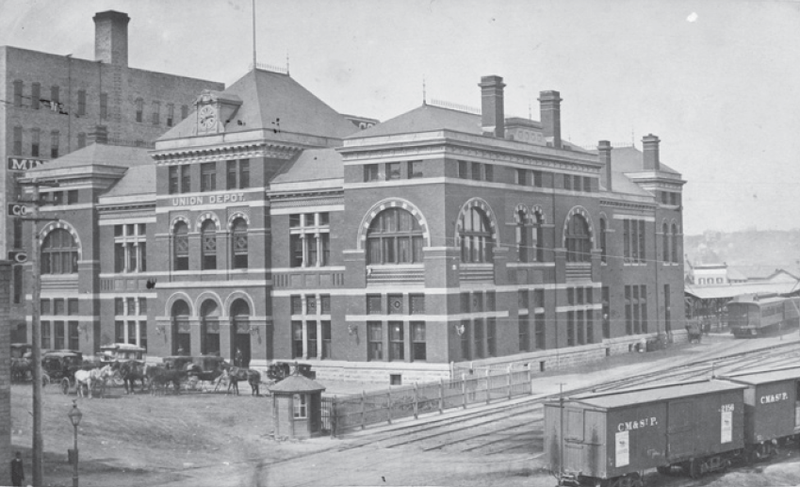 By 1888, 8 million passengers went through Saint Paul’s Union Depot, and 150 trains departed daily. 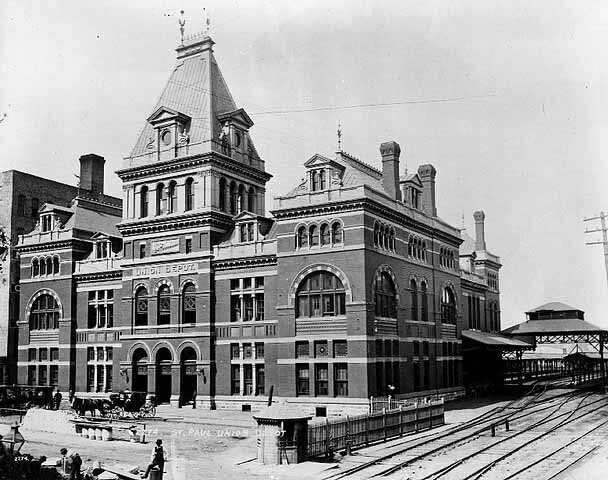 In 1913, the original Union Depot was completely destroyed by fire. New construction of the Saint Paul depot was driven by railroad tycoon James J. Hill. Architect Charles Sumner Frost was chosen to design the new Union Depot. Construction began in 1917, but World War I slowed the project considerably. It didn’t help that James J. Hill had died the previous year. The new Union Depot was completed in 1923 at a cost of $15 million. By contrast, the original depot cost $125,000 in 1881. 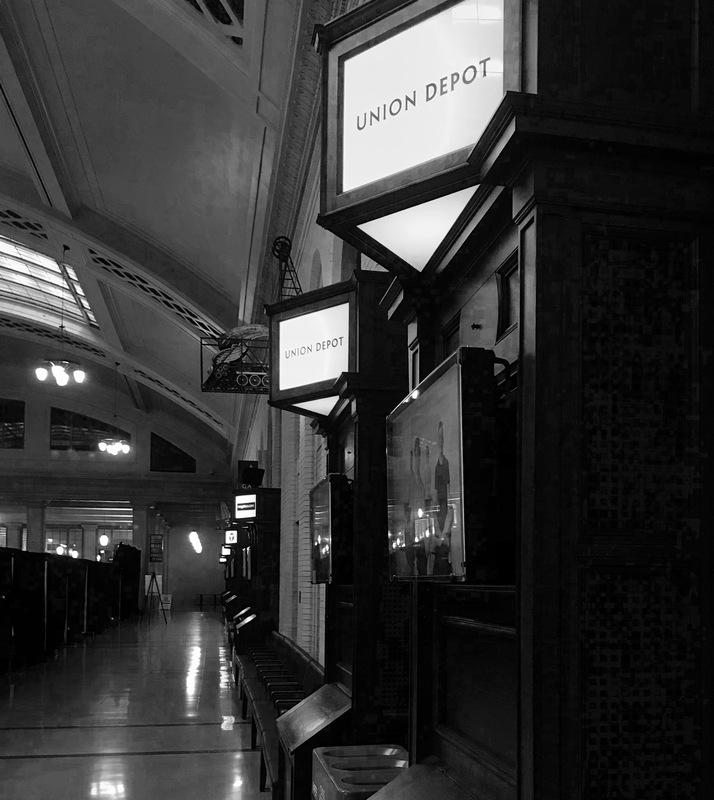 As luck and plans would have it, I’ve traveled through Saint Paul’s Union Depot several times over the past year. As a stop on Amtrak’s Empire Builder Line, there is daily service to/from Chicago and Seattle. 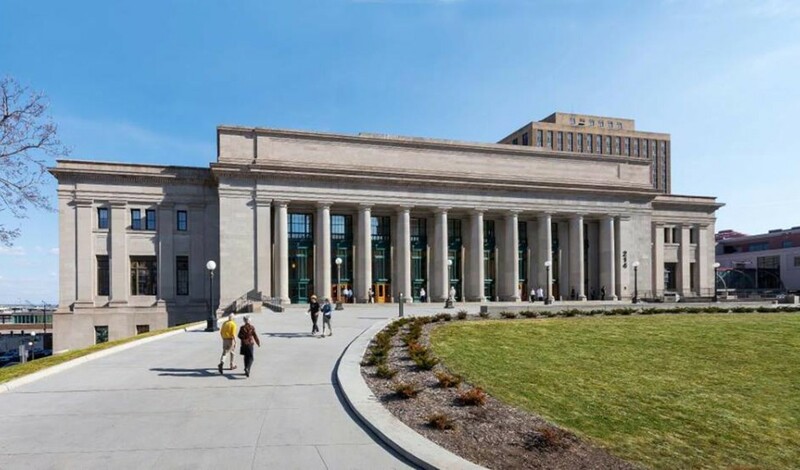 In 2010, Union Depot underwent a massive renovation by the Ramsey County Regional Railroad Authority. 10,000 square feet of Tennessee pink marble floors, walls and columns were cleaned of close to a century of use. The electrical, HVAC, and communications received extensive upgrades. One acre (38,000 square feet) of decorative ceiling plaster was restored. All 63 arched windows were removed & restored. 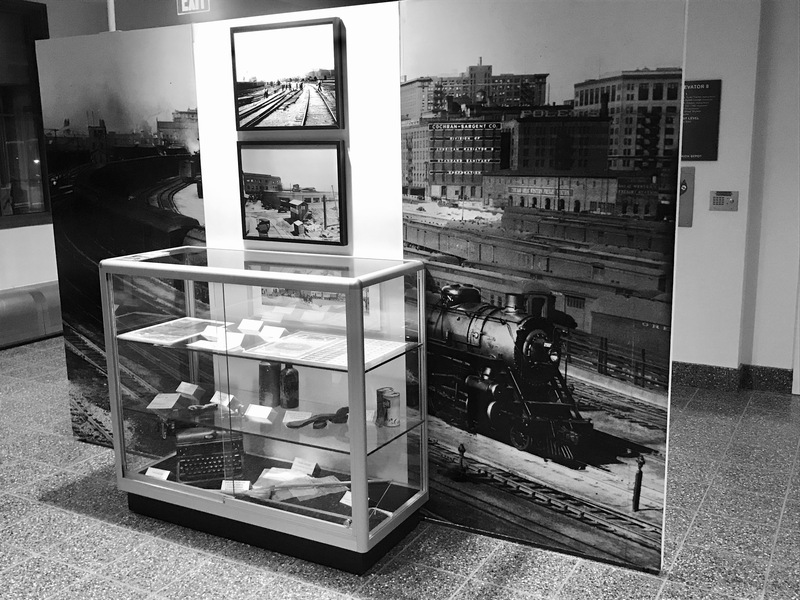 The original oak cabinets, like the one in the photo above, were restored in St Paul, and put back in their original locations, complete with modern screens for train information. 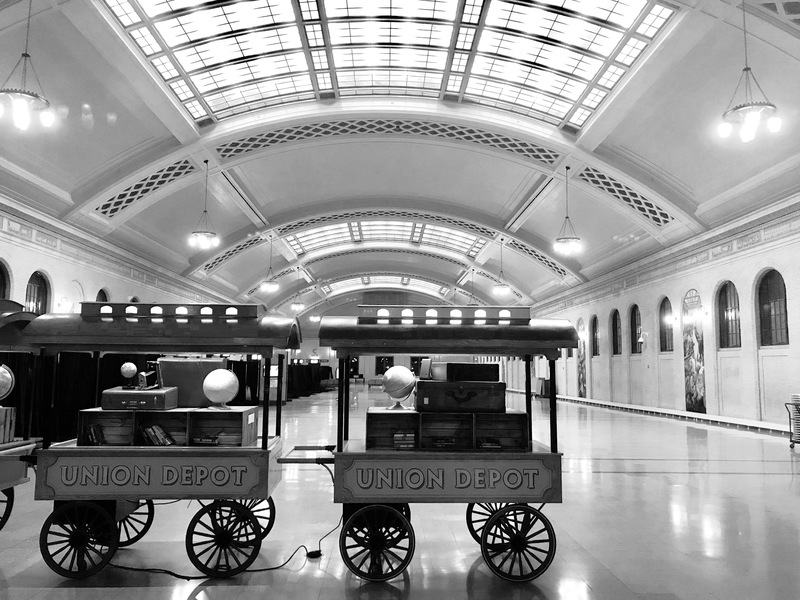 After the $243 million restoration, Union Depot reopened to the public in December of 2012. 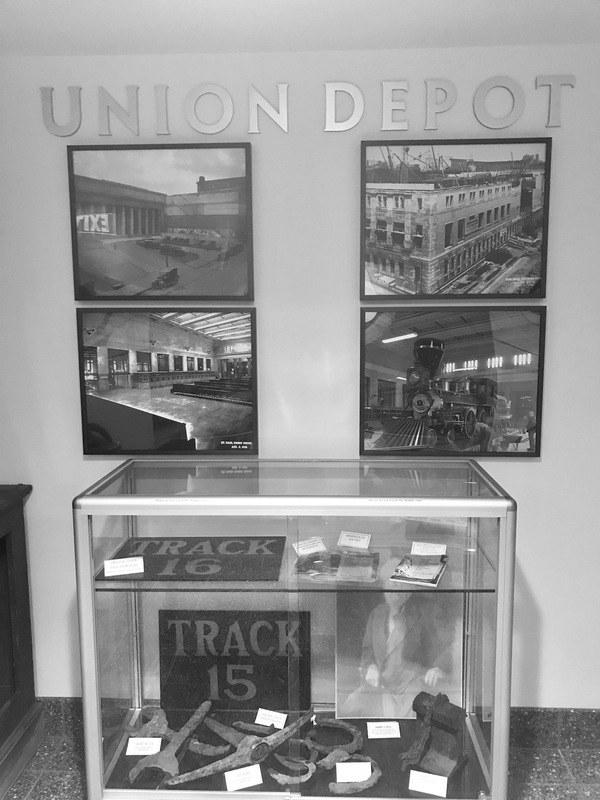 There is a small display of Union Depot’s history located near Gate B. Many of the items displayed here were found during the restoration in 2012. Currently, Amtrak, the METRO light rail, Metro Transit bus service, Greyhound Lines, Jefferson Lines and Megabus all service Union Depot.